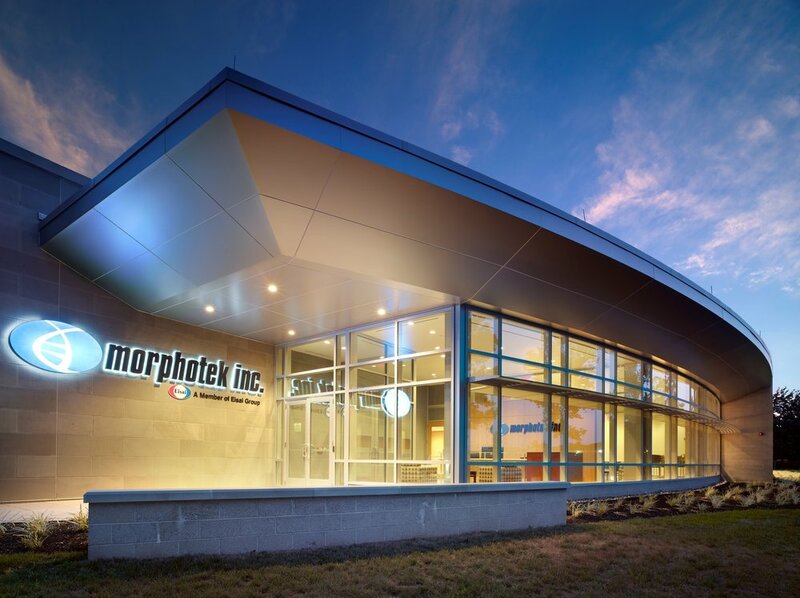 The Morphotek, Inc. relationship began with design and expansion planning for the company headquarters. When Morphotek was acquired by Eisai Co. Ltd., a master plan and design were created for a new 60,000 SF cGMP pilot manufacturing plant for the discovery and development of antibodies to treat cancer and other diseases. 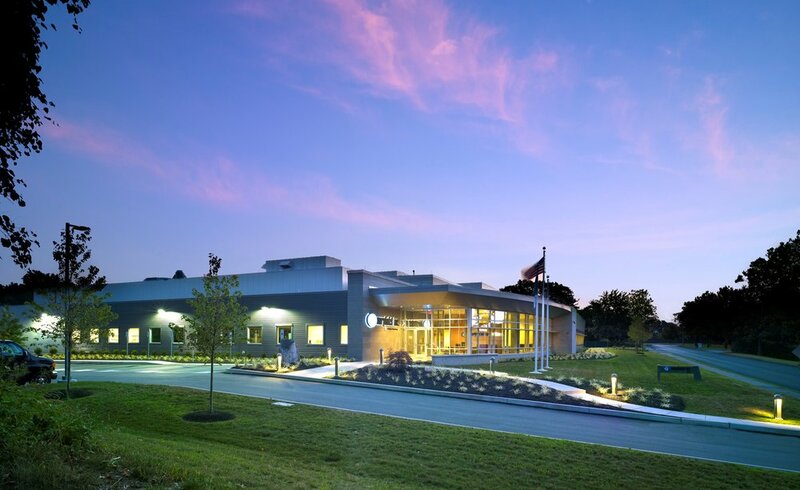 Creative integrated design and engineering of the pilot plant earned the project LEED Gold certification and recognition by the International Society for Pharmaceutical Engineering with the 2013 Facility of the Year Award for Sustainability. Simple, clean architecture is indicative of the work performed within the facility. The program includes offices, research and development laboratories, cGMP ISO Class 7 and 8 core areas, and warehouse space. 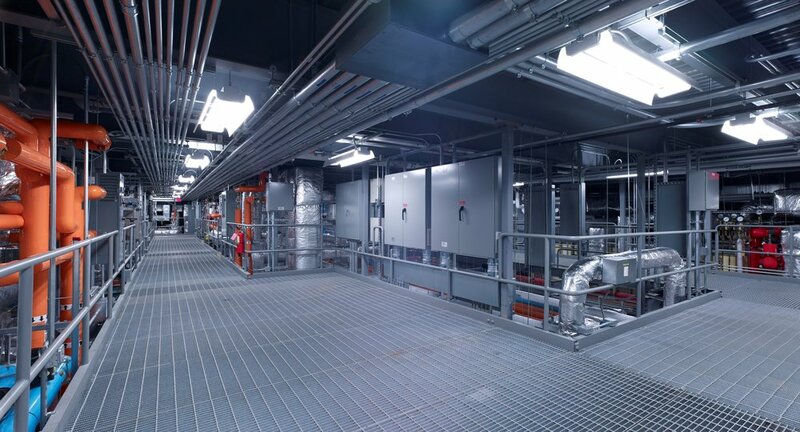 Designed and documented fully in BIM, the pilot plant includes production-driven features such as floor plate and building systems efficiency; a viewing corridor that enables visitors to see into both the production areas and mechanical spaces without having to gown; a mechanical catwalk for access to building systems; a solar array; a flexible café that can be used for dining or company meetings; an office area that showcases building infrastructure and promotes a collaborative work environment; and natural daylight within all of the laboratory and office areas. The fast-track project was completed under budget in just 18 months.